Have you embarked on a journey to shift your culture only to find that it’s run out of steam? October 18, 2018 is World Values Day–an opportunity to reflect on our personal values! A time to take note about how well our current situation is aligned with the things that are most important to us!! However, in addition to this, it’s also a great opportunity for us to engage in re-energizing the values in our workplace. Here are 3 fun company culture ideas to leverage World Values Day in your organization. If you have a newsletter or town hall coming up, schedule it around World Values Day. 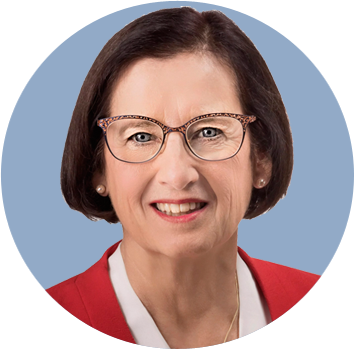 This gives you the perfect opportunity to remind everyone about the purpose of the organization and how the organization’s values contribute to meeting that purpose. Recognize people who exemplify these values to give your employees role models of expected behaviors. Tell the story of how the value brought about a great outcome. People love stories and stories help us understand “the why” behind the recognition. World Values Day can be a day for employee engagement. Create a wall and encourage employees to participate in celebrating their values. Use the World Values Day template which you can customize with your company colors, logo etc. Or, if you have an internal social media platform, encourage people to write up a value and post a selfie with it. Engage in a values conversation. 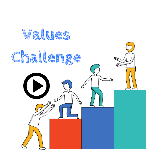 Take the Values Challenge for Organizations. Select one value, and create a one hour activity around that value. Perhaps you’ll select teamwork and challenge various departments to come up with activities to act on this value. For example, one department may choose to go out to a neighborhood park and do a big clean up over their lunch hour. Stop, Start and Keep. These are always great conversations. Select a value and ask the group to come up with ideas about things that the organization should stop doing that’s creating a barrier to fully living that value. In the same vein, what new things could be introduced to make that value even more powerful to the group? And finally, celebrate what’s right in the company when it comes to this particular value. 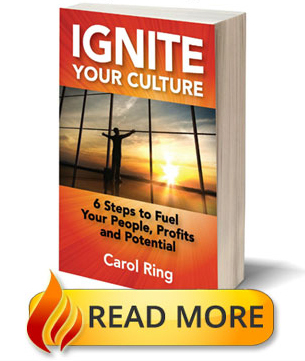 This exercise will generate a plethora of ideas of what can be done to strengthen your culture. 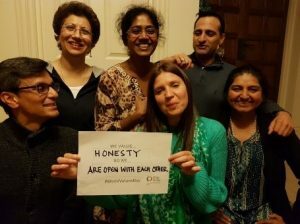 You can learn more about World Values Day at www.worldvaluesday.com. Download the Values Guide for Organizations and the Values Challenge Resource Pack. I’m fired up about this opportunity to celebrate values and culture! And, I’ve got all sorts of fun company culture ideas just waiting to be lit. If you’d like help in designing and/or facilitating a Values Day activity pop me a note. In a world where overwhelm is everywhere, stepping back and taking a breath can ground us. When it comes to culture, which doesn’t often get the headlines or attention it deserves, World Values Day is the perfect occasion to step back and get back in sync with our core values. How will you celebrate this special day?